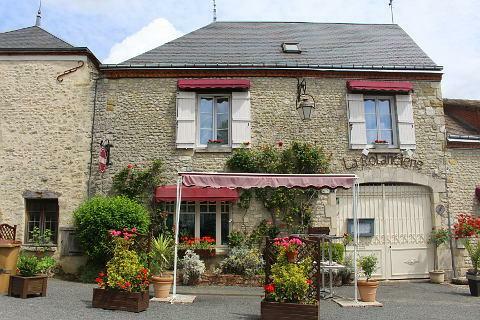 Yevre-le-Chatel (part of the commune of Yevre-la-Ville) is a village situated on a slightly raised area overlooking the Rimarde valley and about 40 kilometres north-east of Orleans, in the Loiret department of central France. 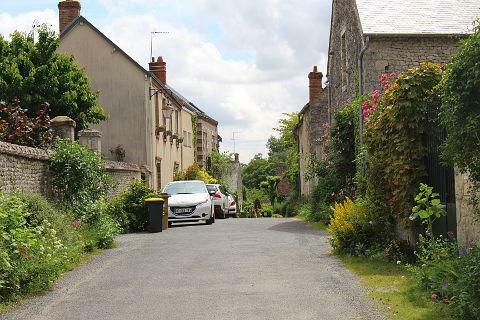 It is listed among the most beautiful villages in France and is the only village with this award in the Loiret department. 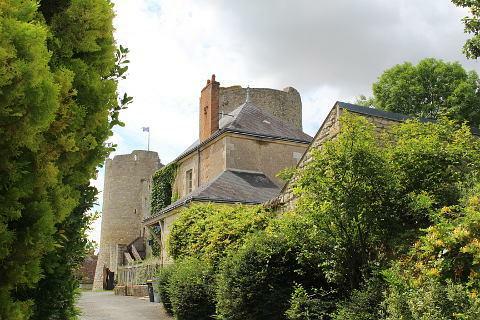 France This Way comment: it is true that the area between Paris and Orleans is not the most visited part of France but many visitors cross the region and Yevre-le-Chatel is a good place to stop for a pause even if you are not passing much time in Loiret! 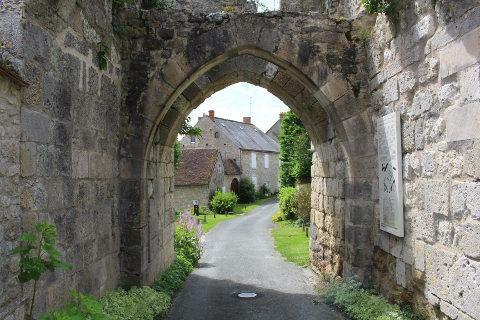 Improvements in recent years (such as removing a water tower in the village center and burying electrical cables), along with various restorations and improvements, mean that Yevre-le-Chatel is now one of the most attractive villages in the region. 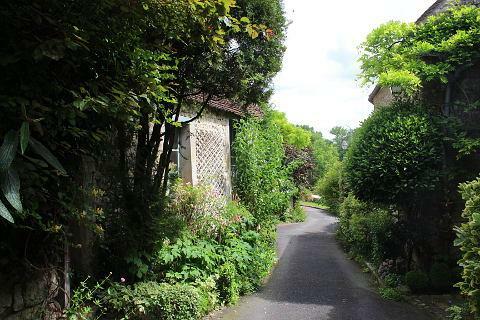 The village streets contain a good number of traditional stone houses making it very pleasant to explore, made more interesting by the small river and bridge and, during the spring and summer, by the impressive number of plants and flowers to be enjoyed throughout the village. 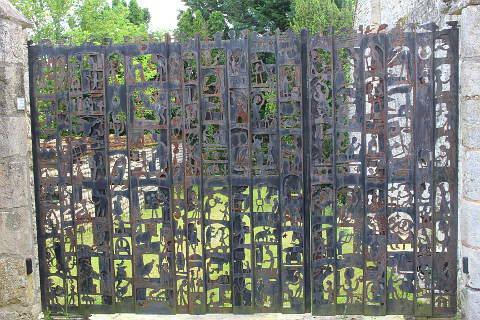 Indeed the wonderful planting of the village is one of its key attractions. 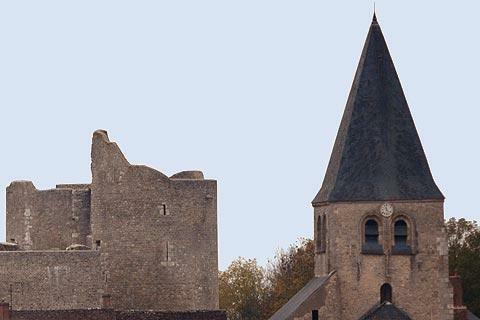 There are also several important historic monuments to be seen in Yevre-le-Chatel, including a substantial castle, parts of the original village ramparts and the imposing remains of a church. 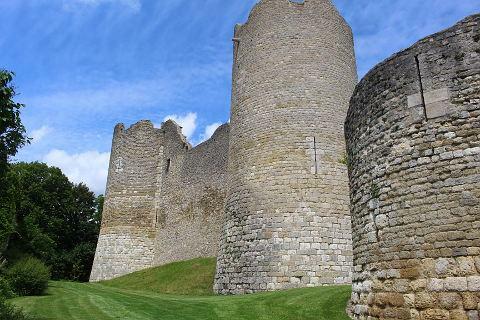 The village is dominated by the substantial ruins of its medieval castle, which retains a substantial part of its external defensive walls, the four round corner towers, and additional towers either side of the entrance, and contains an upper and a lower courtyard. The castle is open to the public April to October (afternoons only) and has good views from the walk around the walls, and there is also a medieval garden with a wide range of traditional plants and herbs. 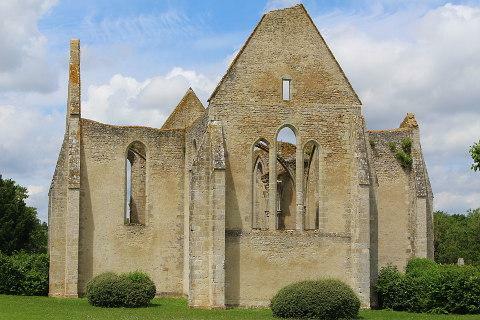 The Church of Saint Lubin dates from the 13th century, but following slow building progress and damage during the Wars of Religion that affected France in the Middle Ages the church was never completed - although most of the external walls remain to create an evocative ruin. 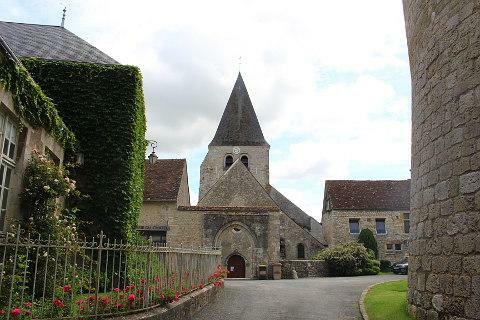 There is a second church in the center of Yevre-le-Chatel, also dating from the middle Ages and still in use, called the Church of Saint-Gault. Despite appearances this church actually has more ancient origins than the Church of Saint-Lubin. 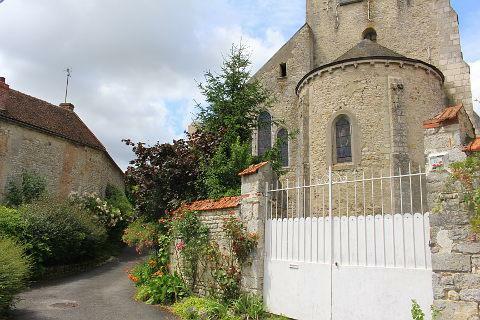 If you enjoyed seeing the ancient churches in Yevre-le-Chatel you will also want to go and see the small church in Yevre-le-Ville which has retained part of its original roman style structure despite modifications in the 19th century. 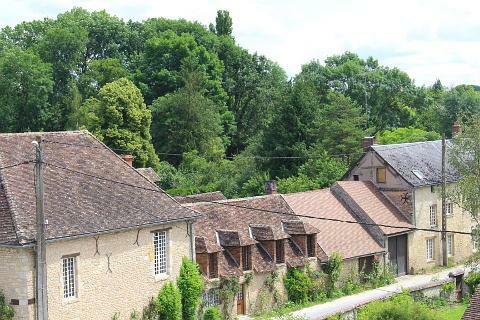 We enjoyed a walk along the valley of the river Rimarden which passes below Yevre-le-Chatel and through picturesque trees and countryside. 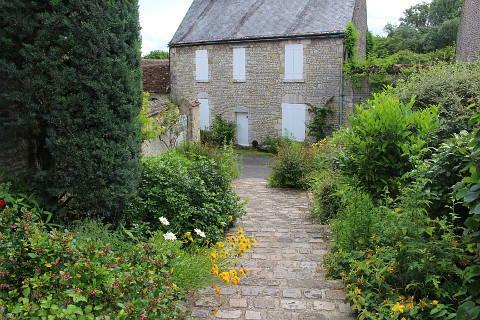 Garden lovers will want to visit the nearby Arboretum des Grandes Bruyeres which has a national collection of various trees as well as of heather. 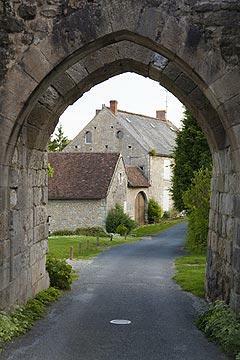 A very different style of chateau can be seen at Bellegarde to the south of Yevre-le-Chatel.